6 khaki campbell duck eggs suitable for hatching in an incubator or under a broody hen. Only £3 plus £4 postage and packaging. Eggs will be collected and posted within 3 days of receipt of order. (Please note that duck eggs can be stored for up to 7 days.) The eggs will be fresh and no more than 2-4 days old. The eggs will be sent first class within the UK in a polystyrene egg container specially made for sending eggs in the post. Please note that this product can only be sent to residents of the UK and not overseas. These eggs are for hatching and not for human consumption. Fertility cannot be guaranteed after postage. The eggs come from a flock of 6 khaki campbell ducks and 1 drake. The ducks free range during the day and roost in a poultry hut at night. The 6 khaki campbell ducks and 1 drake (Sir Francis Drake!) 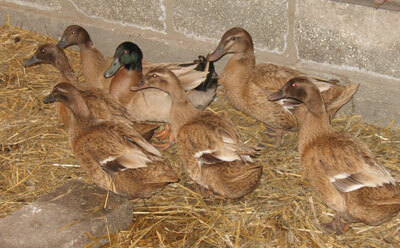 are now into their third year and they also free range with 13 other ducks and drakes of various breeds. (2 khaki campbell ducks and 1 khaki campbell drake, 2 trout runner drakes, 1 cayuga drake, 1 mallard drake, 2 buff orpington ducks, 1 white campbell duck – these are all 1 year old and they all make up a group who tend to keep themselves separate from my original 7 khaki campbells, I also rehomed a magpie duck and magpie drake with a double breasted khaki campbell duck at the beginning of February 2011 who also keep themselves as an individual group. All 20 ducks/drakes are housed in the same barn at night and free range during the day. The eggs are collected daily. I just wanted to let you all know this incase you are specifically looking for pure bred khaki campbells as there could be the chance of a khaki campbell crossed with a magpie, mallard, trout runner or cayuga! It is recommended that you let the eggs stand and settle for 24 hours at room temperature upon receipt before incubation. 6 Khaki Campbell Hatching Duck Eggs £3 plus £4 postage and packaging. If you keep ducks or are interested in keeping ducks then visit the farmingfriends duck forum for the latest chat about ducks and then check out the books shown below about keeping ducks which are informative and excellent for the beginner and a handy reference for the more experienced duck keeper. They are here!!!!! We are all so excited…I don’t know how I will manage to let them rest for 24 hours before I put them in the incubator!!! Thank you very much for your speedy service,and we’ll let you know how we get on. Thanks very much. The first lot of eggs I got from you are doing very well, Andy. Thank you for your swift delivery. Eggs arrived Saturday morning. Just wanted to let you know we have successfully hatched 5 of the ducklings, early yesterday morning (27th) in fact, we heard one of them moving about in the incubator at 4.00am and were so fascinated that we watched the others hatch! Absolutely fascinating and they are all very very cute!!! We had two left to hatch when my husband and I had to go to work but they had broken through the shell and had a good size hole in so we were hopeful that they would be out when we got back a lunch time. I was a bit worried about them and when my husband got in, neither had progressed any further. He lifted one out and checked it but it was cold and had died. The other one he could see was still breathing but obviously couldn’t get out. So, against all the advice we had read but knowing that if we didn’t do something we were going to lose it, he opened the shell and put it into a margarine pot under the heat lamp. We are so pleased because it has lived and is now running around (or wobbling around!!!) with the rest of them. We could tell which one it was (who the children named ‘Lucky’!!) but now it has dried off they all look the same!! They are all doing well and eating and drinking a lot!!! I can see how quickly they are going to grow. Many, many thanks for your help. It’s been and still is a wonderful experience, to care for the eggs and then actually see them hatch!!! In the Spring I will have guinea fowl eggs for hatching but they are not laying at the moment. what type of birds do you have that i could buy hatching eggs at this time? Thanks for emailing farmingfriends. I am delighted to hear that all 6 eggs hatched out. What a great result. It is difficult to tell which are males and females until they get to about 5 weeks of age and then it may be possible to tell the difference between a duck and a drake. The tail feathers. It is the male that has curling tail feathers. Colour of plumage. Some breeds of duck the male are more brightly coloured. Colour of bill. Some breeds show a different colour in their bills from about 6 weeks between the male and female, where the females is usually darker. Body size. Drakes usually have larger bodies and heads. The quack. The drake has a softer quack, whereas the female has a louder more distinctive quack. The distinction by call can be made from 5 weeks onwards but I think to be honest it is much later about 12/13 weeks..
You might find that if you have any drakes they will loose some of their feathers and moult and then the head will go gree and the tail will become curled. My drake has orange legs and the ducks don’t. I will look out the photos of my drake and ducks. I am pleased that the eggs were fertile and hatched. My husband’s uncle is a duck farmer and he says that when ducklings don’t seem to be very mobile then they put them in a bucket of water and this often helps to revive them. You need to be careful that their feathers don’t get saturated as their preen glands haven’t developed. I would also make sure that they are dried off well when they are taken out of the water. You may want to make the water warm so they don’t get a cold. I think I would also cup them in my hand and lower my hand into the water so that they don’t get too wet and don’t become saturated. I know that the books generally say that incubator ducklings shouldn’t be in water for the first week or so but my husband’s uncle is a duck farmer and does say that this can help to revive the ducklings as it can help to make them more mobile. Are they drinking their water? Make sure that the ducklings have plenty of heat so that they are not using all their energy to keep warm. Interestingly it says Young ducklings can feed themselves as soon as they reach water, but must learn what is edible. Maybe if they take to the water and perk up then sprinkling some chick crumbs on the surface of a tray of water might mean that they start eating. It also says “The ducklings stay in the nest for at least 10 hours while they dry and get used to using their legs. Then, usually in the early morning, the female leads them to water.” Obviously they have the mothers preeen glands to make them waterproof but obviously water is an important factor in the ducklings development. I hope that your ducklings respond well and make progress and get better. Keep me posted. I brought some eggs from you around a month ago now and five ducks have hatched. One a day late, three two days late and one three days late. All of them except the first had to be helped out their shells. They all piped on the last day of incubation and were struggling and had made no progress on the second and third day. One of them did not survive long after hatching, as he/she has a huge tumor or growth in between its legs (Have a photo if you would like to see). The one which hatched its self and one of the ones i helped out are fine and growing up strong. But the other two are very weak and could not move for the first day, but no can lift their heads, but are no way mobile at all. They will not eat or drink unless you put their beaks in the food. Is there anything I can give them that would help to build their strength, as their progress is very slow. I know someone who had a Cayuga and Kaki Campbell mix duck. One got eaten by a cat we think. The other was left alone but seemed so lonely. We are in Minnesota and get some cold winters here. They let the one duck go at a local lake that has a fountain and the water here stays open all winter for ducks. We think a she, because it was smaller than the other duck. Anyways, she made friends with a female mallard and is now hanging out in the lake with this duck. I am worried about her. Will she fly away south or mate with this mallard if a male? Is that a good thing to do in our state–intermix the species? I’ve read the cayuga or kaki campbell will mate with the mallards. I went to the lake and saw her and she is still sticking close to the female mallard. Would love to hear your thoughts? Pingback: Farming Friends » Can Quail Eat Clover? but only after they have pipped the shell. Fingers crossed that more hatch out safely. Let me know how you get on. I brought some eggs from you about a month ago, me and my girlfriend and her family choose to incubate them. We turned them 4 times a day for 25 days and on the 25th day we saw on egg had a small crack and within 24 hours latter it hatched and “billie” is fine and well. This was 3 days early but now it is day 28 should we give up and assume the other five eggs did not make it? or should we keep waiting for a few more days? but for how long should we wait? and do you know any reason why they didn’t hatch and one would? I am delighted to hear that you have 3 ducklings and that the children are thrilled. What a lovely experience for them, that they will remember for a long time. You may even foster an interest in farming for some of them! I would love to see a photo and hear about the ducks progress. Just letting you know that 3 of the 6 eggs hatched on Tuesday 30th June. They are gorgeous. All the schoolchildren are thrilled to bits with them all the classes have visited them. I will try to send a photo soon. I opened the other three eggs today and one hadn’t been fertilised, one must have died before it had time to hatch as it was perfectly formed and the other must have died a bit earlier. Just to let you know we had 12 out of 12 ducks hatch yesturday. Thanks very much. Very happy. Im from sheffield and have been looking into different ducks breeds, for laying and meat. The Khaki Campbell is a breed i am very much interested in, and this site is very handy, can I have a contact email for you if possible as you seem quite close. 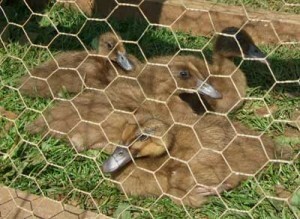 Do you know of anyone in Oxfordshire Bucks Berks area that may have a drake for sale Khaki to go witha very lonely duck. Bielby near Pocklington which is between York and Hull. I would be happy for you to come and collect the eggs personally. I will have 6 eggs available on Sunday as someone has sent an email about Friday and Saturday’s eggs but I am just waiting for them to confirm this. If you are interested then I will let you know if Friday and Saturday’s eggs become available.